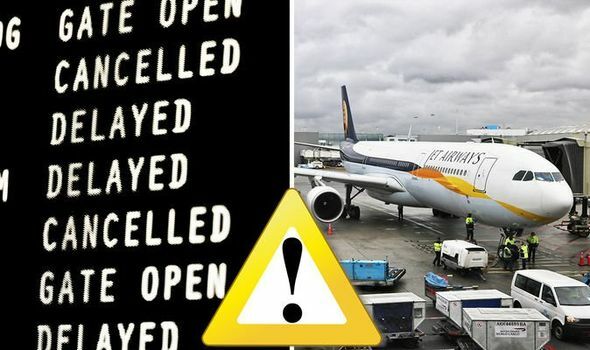 The bankrupt aviation facility Jet Airways will temporarily shutdown all it’s flights from tonight. Jet Airways is running low on finances. It had not distributed the salaries to the employees since January. Angry and furious employees had already submitted their no co-operation memorandum to Jet Airways. As a result, only 4 flights flew from their boarding place to their destination. All the employees had already stopped working util they are paid their pending wages. “There is laid down regulation for each situation. We shall follow what is appropriate for a given one,” a senior official at the Directorate General of Civil Aviation told Economic Times. This crisis was confirmed when all the banks refused to pay the amount Jet Airways was asking for. Jet Airways was asking for Rs. 400 crore loan which was denied by all the banks.